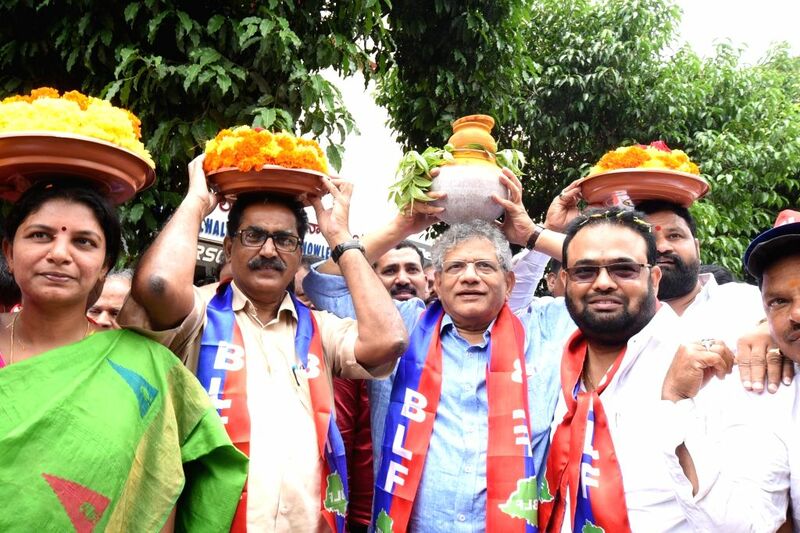 Hyderabad: CPI-M General Secretary Sitaram Yechury participates in 'Bonalu' festival celebrations, in Hyderabad on July 15, 2018. 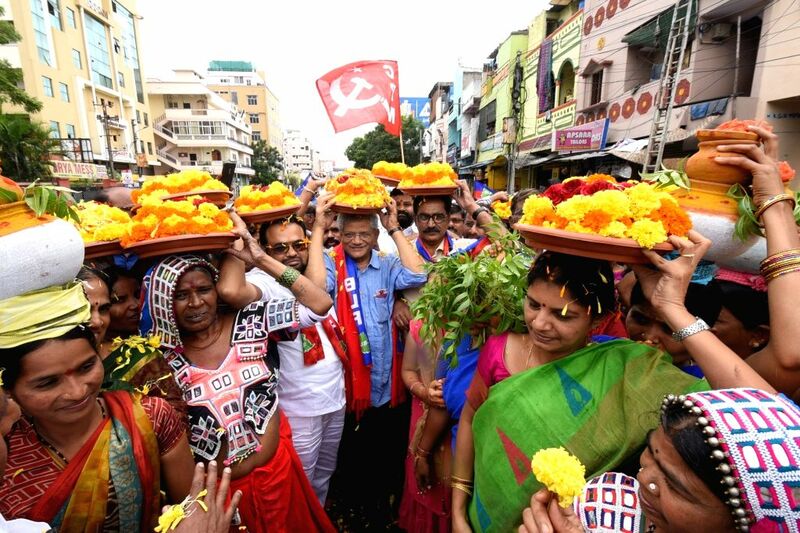 Bonalu is celebrated in parts of Hyderabad and its twin city Secunderabad during Ashada masam (July-August). 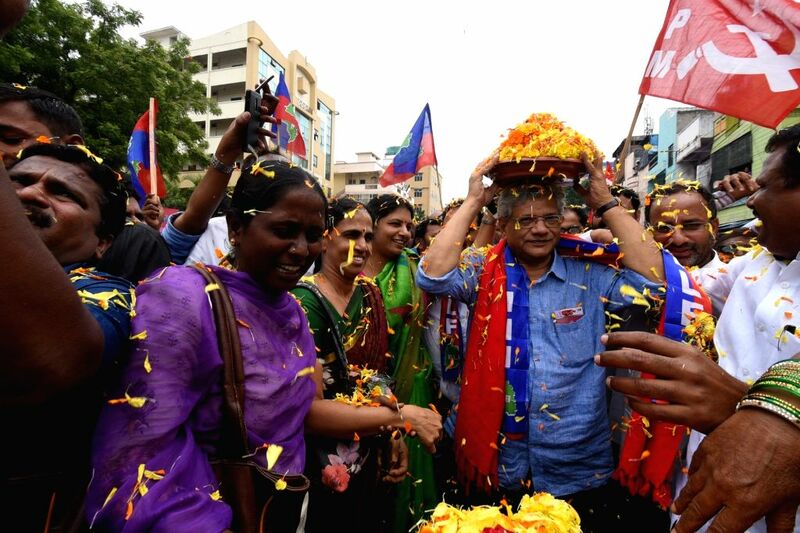 Also known as Ashada Jatra Utsavalu, it is celebrated on three different Sundays in different places in the twin cities.